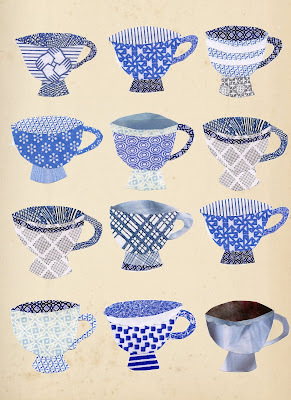 Here are some paper collages that I did while in Spain...2 days of cloudy skies and a bracing wind was enough for me to get out the scissors and the glue stick....thought the tea cups would make a nice tea towel? Oh, I just love them both! so pretty. Thank you for sharing. So glad that you shared this great stuff! Wish I was there with you right now! 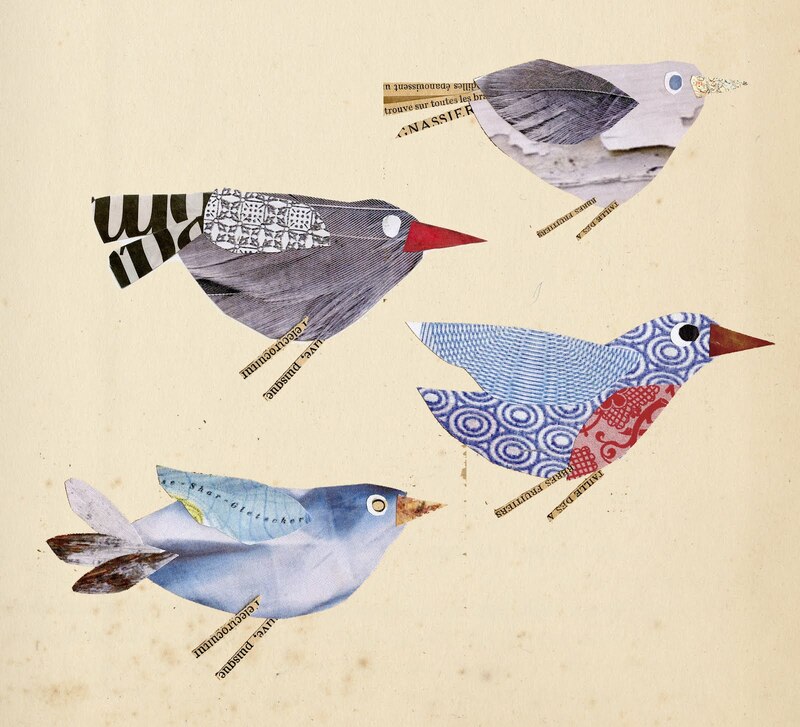 I SO LOVE YOUR COLLAGES - INSPIRED USE HERE - CAN I ORDER A TEA TOWEL - WHAT A GOOD IDEA PLEASE PUT THEM ON ETSY. 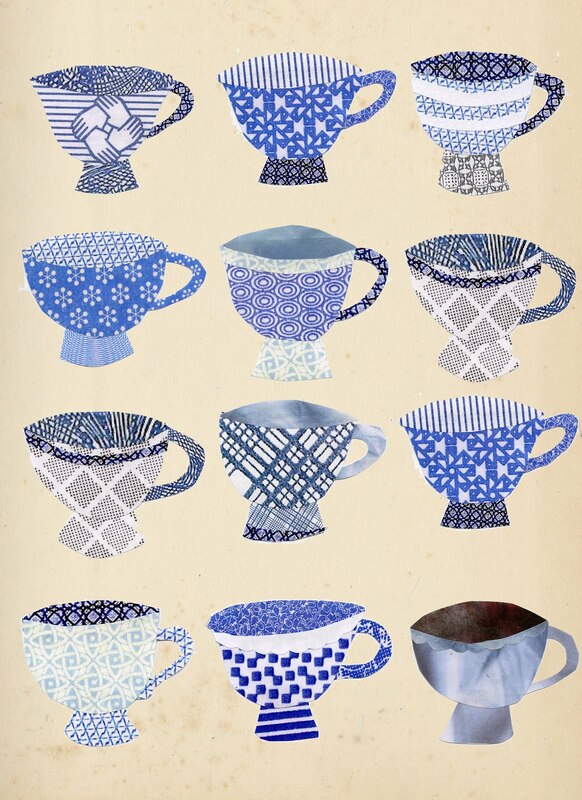 Is it possible for us to use the tea cup artwork on our website if we credit you with a link back to this page? We are running a 'Design a Cuppa' competition (which we'd love for you to enter!) and feel that this illustration would suit it perfectly.